Submitted by Evelyn Kiefer on Thu, 02/23/2006 - 17:45. 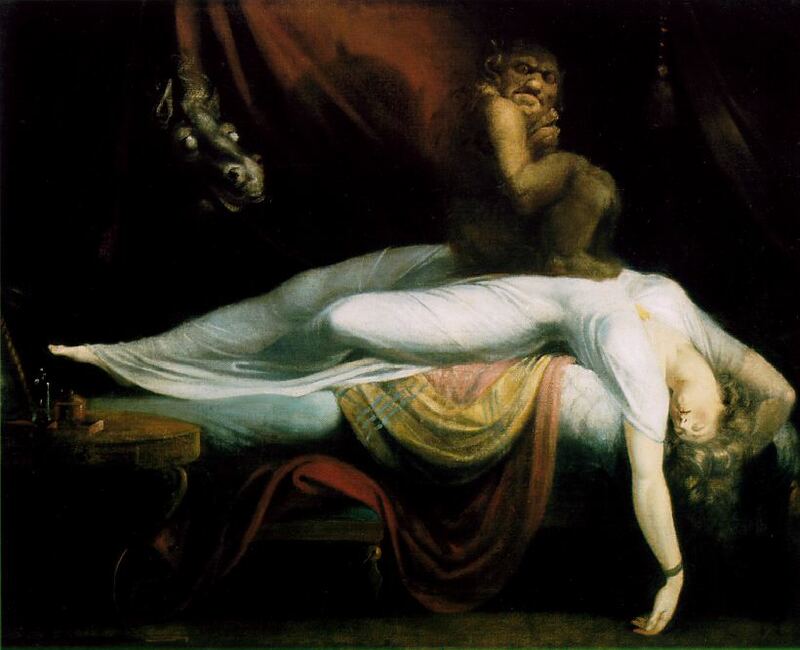 Although Dr. William C. Dement stated that his lecture was not about the role of dreams in creativity and art, the painting The Nightmare, by Fuseli usually comes to mind when I think of dreams. I am an art historian, but I think many people associate dreams with artistic inspiration. Dr. Dement spoke about the history of sleep medicine at CIA Wednesday night as part of the year long Dreamweaver series of exhibitions and lectures. He has been at the forefront of sleep research for his entire career. Though CIA did not seem like the most obvious venue for his lecture, it fit well with the Dreamweaver series and attracted a diverse crowd from many CASE departments and University Circle Institutions. Dr. Dement began with a quote from Albert Einstein that emphasized something that all the audience members shared. "The source of all art and all science is mystery. "CIA deserves praise for organizing this successful and fascinating event that served to highlight the relationship between art and science that is sometimes forgotten when institutions university departments remain isolated from one another. "Dreaming permits each and everyone of us to be quietly and safely insane everynight of our lives." As this quotation from Dr. Dement suggests, he has a witty, humorous style of lecturing. He kept the audience captivated for over an hour and inspired some interesting post-lecture discussion. He began with the state of sleep medicine when he was a graduate student studying at the University of Chicago with Dr. Nathaniel Kleitman in the 1950s. One of the greatest break throughs of the 20th-century has been the discovery of REMs during sleep (in approximately 1952), Previous to this Sigmund Freud's psychoanalysis and dream interpretation dominated the field. Since then Dr. Dement and others have learned much about sleep states, brain activity during sleep, sleep disorders, sleep deprivation, and lucid dreams. Yet there is still much to learn about sleep and dreams -- the field offers exiting potential for students. Dr. Dement also stressed the importance of expanding cost-effective sleep medicine and the great potential it has to benefit society.